Get in on all of the fast paced action when you spin Action Bank slots! Work quickly and attempt to crack the code to the master safe as you spin through the bank and rack up wins! 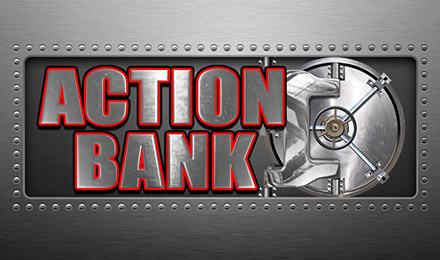 Action Bank slots game will test your patience and ability to work calmly under pressure. If you can crack the bank safe's code and collect the cash unseen, you'll win in this nail biting game. Perhaps you can linger a little longer and land some bonus rounds and Free Spins in this exciting 10 payline slot game!